PC-DMIS CMM Software - CMM Inc. The PC-DMIS CMM is the world’s leading Coordinate Measurement Machine (CMM) Software, which allows for the collection, evaluation, management and presentation of manufacturing data. It has over 30,000 seats in place worldwide. From simple straight-forward parts, to complex measuring components, this particular type of software is leading the way and revolutionising CMM measurement. Use CAD models in the inspection process. Directly link CAD systems and measurement software through its Direct CAD interface (DCI) technology. Implement a full set of sheet metal measurement routines tailored for the automotive industry. Digitally simulate measurement in an offline virtual CMM environment. Easily align complex, contoured parts using our breakthrough iterative alignment technology. PC-DMIS CMM comes in three basic configurations with optional modules available to fine-tune to meet specific needs. PC-DMIS Pro – The baseline PC-DMIS CMM package is ideal if you don’t need to integrate CAD into your inspection process. A powerful, easy to use software package, with its built-in Quick Start routines, gets you up and running in no time. PC-DMIS CAD – PC-DMIS CAD lets you create inspection programs and evaluate measurement results taking full advantage of the CAD models. It provides the tools needed to work with files ranging from simple 2D drawings to complex 3D solid models. 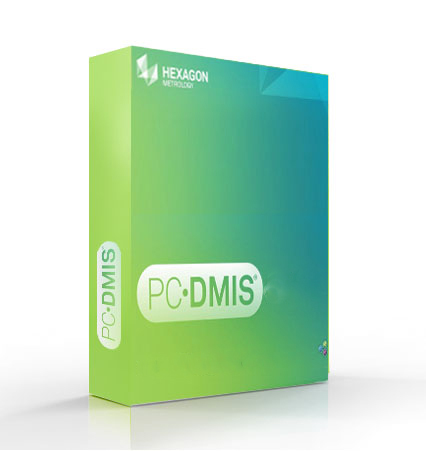 PC-DMIS CAD++ - Enhances the capabilities of PC-DMIS CAD with sophisticated tools for high speed scanning, sheet metal measurement, part alignment and the like. PC-DMIS CAD++ makes measuring complex shapes easy. PC-DMIS is also available in an off-line version for virtual programming and as a retrofit package, allowing users of non-Hexagon Metrology CMMs to take advantage of this particular type of technology.